Corinne Fenner, Mark Woods and Ted Johnson are pictured outside Studio 5 on Monday. This month, during National Park Week, the National Park Service is highlighting the importance and value of our national park system to make sure we can preserve it for future generations. Mark Woods, a columnist for The Florida Times-Union and author of Lassoing the Sun: A Year in America’s National Parks; Ted Johnson, Community Engagement Specialist, Timucuan Ecological and Historic Preserve; and Corinne Fenner, Chief of Interpretation and Education, Timucuan Ecological and Historic Preserve, joined us for a closer look. A national conference on the threat of sea level rise is coming to the First Coast. 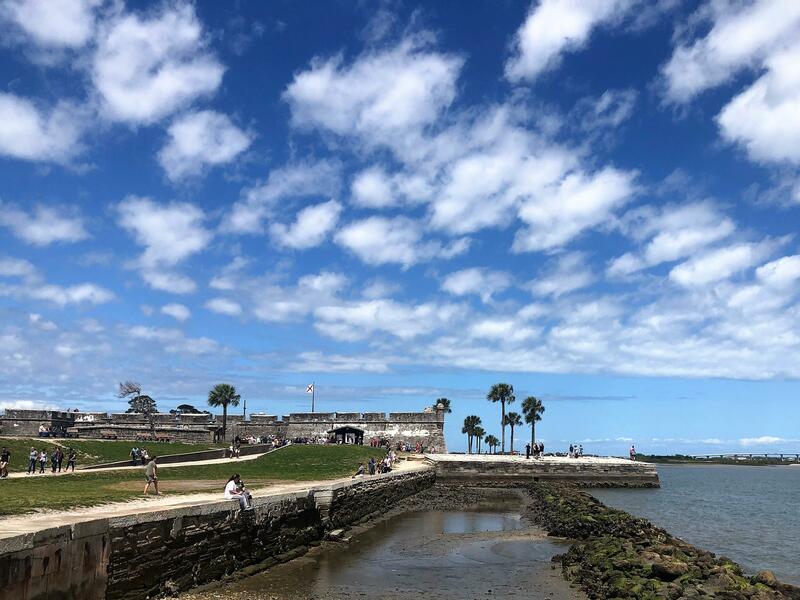 The third major Keeping History Above Water conference will take place in St. Augustine from May 5 - 8. It’s a chance to learn about how climate change and rising waters will affect Florida - including the nation’s oldest city. Dr. Leslee Keys, who directs historic preservation at Flagler College, joined us with a preview. Tiger Woods made an amazing comeback to win the Masters in Augusta on Sunday. Cole Pepper joined us with a recap, as well as the rest of the week's top sports news. Heather Schatz can be reached at hschatz@wjct.org, 904-358-6334 or on Twitter at @heatherschatz. 4/12/19: Friday Media Roundtable; "Daddy's Boys"
Several local races are headed to a runoff election in May. Thursday morning, we continued our conversations with the candidates for City Council At-Large with Councilman Tommy Hazouri, the Democratic Candidate for Group 3. The Emerald Trail has just been an idea for decades now. However, it is finally on its way to becoming a reality, after the City Council approved a plan to build it within the next ten years.